I am joining again with my blogger friends to talk about teaching second grade. The topic today is poetry, and I wanted to share some of our favorite poetry books that kids of that age might enjoy, especially if their reading skills matured enough to be able to read them on their own. Perhaps some of them might even be inspired to write their own poetry next! Do your children like poetry? I have a confession to make – my daughter is actually not a big fan of poetry at the moment. She prefers a long involved fantasy story to a short book of poems. However, from time to time I find her with a book of poems from our home library and rejoice that all is not lost. Some of the books that we read over years stuck with her and even inspired her to create her own poems and songs, and she might connect more with poetry as she is growing up. In the meantime, here are the poems and poets every child should explore. Wake Up House! by Dee Lillegard will appeal to kids who love to play with words and with images. Don Carter makes images literally pop off the page with his 3D illustrations, and the poems themselves are very short, designed to tickle imagination of budding poets. It’s a great book for new readers who are struggling to maintain attention on long paragraphs. Poem-Mobiles by J. Patrick Lewis and Douglas Florian will be a lot of fun for young car enthusiasts. The poems are somewhat longer than in the previous book, but they still fit on one page and accompanied by entertaining illustrations of Jeremy Holmes. Don’t be surprised if your children will be building their own crazy cars after reading this book. We ended up with Lego egg racers! Do your children enjoy riddles? Spot the Plot by J. Patrick Lewis offers short poems asking readers to solve the clues and guess well known picture books. If you are lost, illustrations by Lynn Musinger might provide answers. My daughter really enjoyed books with songs that she liked, like Puff the Magic Dragon or Raffi songs. These song books might be great for kids who love singing – the words could be difficult, but children might already know them from the song and will experience satisfaction of reading a text above their reading level. We enjoyed every book by Mary Ann Hoberman, but You Read to Me, I’ll Read to You stands out and sits in place of honor on Smarty’s shelf. This is a wonderful book to read together with new readers or act out, because it is built as a dialog between two readers. We certainly did a fair share of reading this lovely book and its sequels together over several years, and even now it’s one of Smarty’s most favorite books from our own library. Every child reads Dr. Seuss books while learning to read, but Smarty never lost her love for Dr. Seuss work enjoying his clever word play. We have a couple of Dr. Seuss collections of longer stories at home, and I wrote a separate post with recommendations of Dr. Seuss books for older children. If your child is a fluent reader, he or she might enjoy proper poetry collections. We have a couple of books by Shel Silverstein in our library, and Smarty particularly enjoyed Falling Up scrutinizing both poems and black ink illustrations. As a fair warning, Shel Silverstein is not a cheerful writer, so she found some of his poems a bit too dark. On the other hand, Jack Prelutsky is a pleasant, playful, and prolific poet (yes, that was on purpose). Smarty read a lot of his collections and enjoyed them all, especially his animal series started with Scranimals created in collaboration with a wonderful artist Peter Sis. He has so many books that it’s practically a guarantee that one of them will appeal to your child. We have A Pizza the Size of the Sun in our library, and it’s another poetry book that gets read quite often. I left my own favorite to the last. Bill Martin Jr. Big Book of Poetry is an amazing collaboration between many fantastic children books’ illustrators having fun with some classic authors (think Robert Lois Stevenson or Robert Frost) and modern poets. The book is a visual treat, and it introduces children to very different poetry styles. 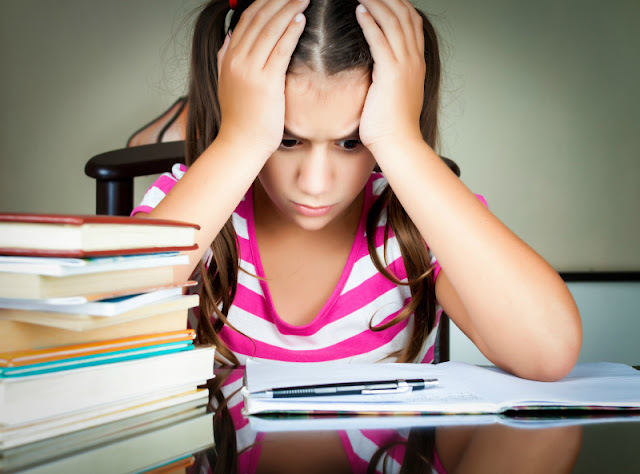 It is grouped by subject so, again, you can probably find a few poems that will appeal to your child’s interests and will prompt them to read on. This book is certainly a good candidate for a home library, since your children can read it for years, even when they outgrow picture books. 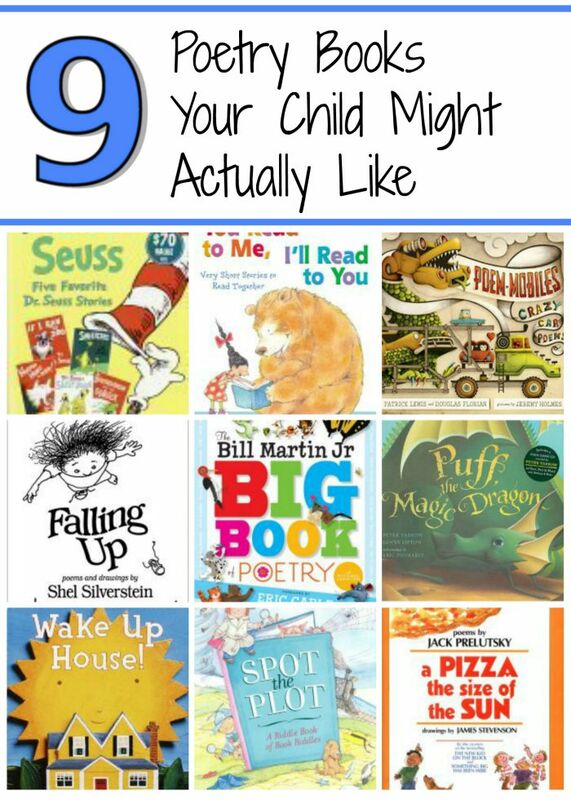 Follow my Best Children Book Lists Pinterest board. Do your children enjoy poetry? What are some of their favorites? Princess absolutely adores a book called "Eat your poetry," or something like that. Tara gave it to her for her birthday one year and Princess loves it. She makes me listen to poetry readings. Ohhh some new poetry books to have a look for - We're big fans of Puff the Magic Dragon it reminds me of my childhood so much. Shel Silverstein was a huge favorite of all of my elementary school teachers. I liked his poetry as a child - but his biography is strange for a children's author (much like Dr. Seuss).